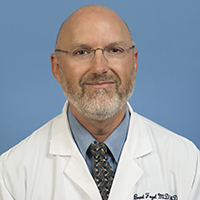 The UCLA Department of Neurology Program in Neurogenetics, led by Daniel Geschwind, MD, PhD, director, Brent Fogel, MD, PhD, associate director, and Susan Perlman, MD, director of clinical trials, is nationally and internationally recognized for excellence in the clinical diagnosis and management of neurodevelopmental and neurogenetic disease. UCLA is a tertiary referral center for the State of California's Genetic Handicapped Persons Program (GHPP) and receives referrals from across the United States, Canada, Mexico, and the Pacific Rim. 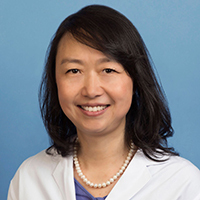 The UCLA Neurogenetics Clinic, directed by Dr. Fogel, utilizes state-of-the-art technologies including clinical exome sequencing to diagnose rare neurogenetic disorders such as various forms of leukodystrophy and spastic paraparesis as well as metabolic and mitochondrial conditions affecting the nervous system. 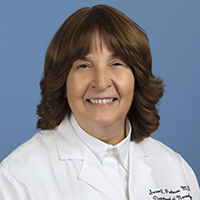 The UCLA Ataxia Center, directed by Dr. Perlman, is one of the first nationally recognized ataxia programs, and sees 150 to 200 new patients per year as well as a clinical population of more than 2,500 affected individuals and families with all forms of ataxia both genetic and non-genetic. The program also houses the Huntington's Disease Society of America (HDSA) Center of Excellence at UCLA. 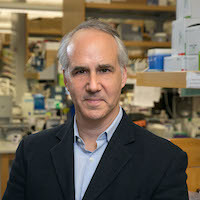 Clinicians and researchers at UCLA are routinely involved in both national and international research collaborations on a variety of molecular studies and clinical trials involving various neurogenetic disorders such as Huntington's disease, numerous dominant and recessive spinocerebellar ataxias, Friedreich ataxia and ataxia telangiectasia. Researchers in the Neurogenetics Program are also working to identify new genes which cause both rare and common neurologic diseases using cutting-edge genomic technologies including exome and genome sequencing. The work within the program is funded by multiple grants from the National Institutes of Health and several private foundations covering a wide range of disease including autism, Friedreich ataxia, spinocerebellar ataxia, Huntington's disease, Parkinson's disease, Alzheimer's disease, and frontotemporal dementia, among others. The program is also committed to the clinical and scientific education of medical students, graduate students, residents, clinical fellows, and post-doctoral researchers.